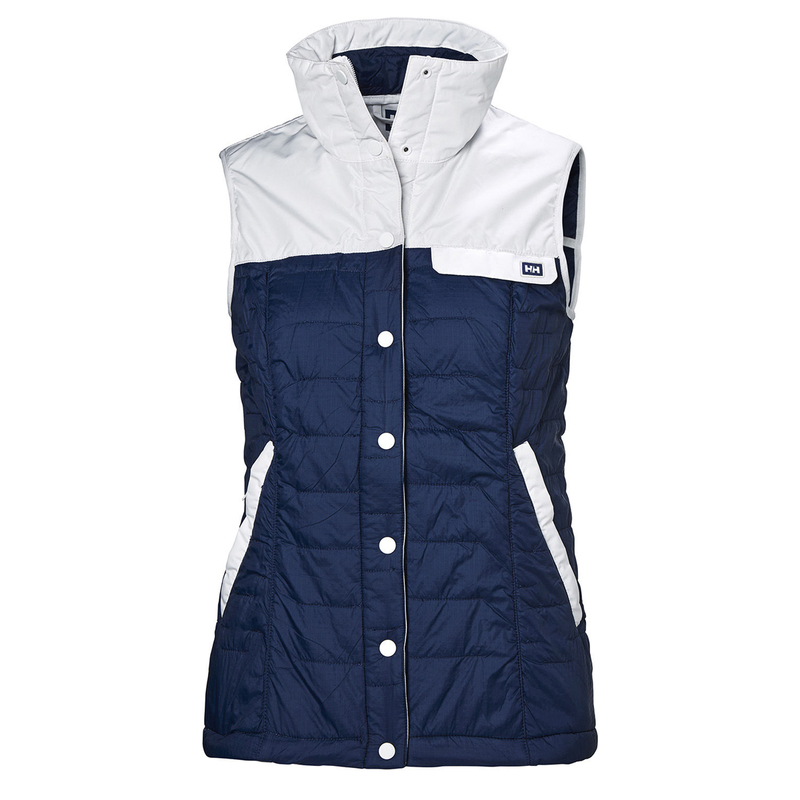 A versatile, multisport vest - insulated with 100% Norwegian Lavalan wool and featuring technical shoulder and chest panels for added weather protection. Movatn is an area in Oslo that is frequently used as a starting point for many excursions in the Oslomarka. You can jump on the train from Oslo and it will take you directly to your adventure. Grab your Movatn vest and be prepared for a day of roaming. Insulated with Lavalan 100% Norwegian wool you`ll get super soft warmth and comfort. Technical waterproof-by-construction fabric panels will keep you dry in case of unforeseen weather and it conveniently packs together when not in use.